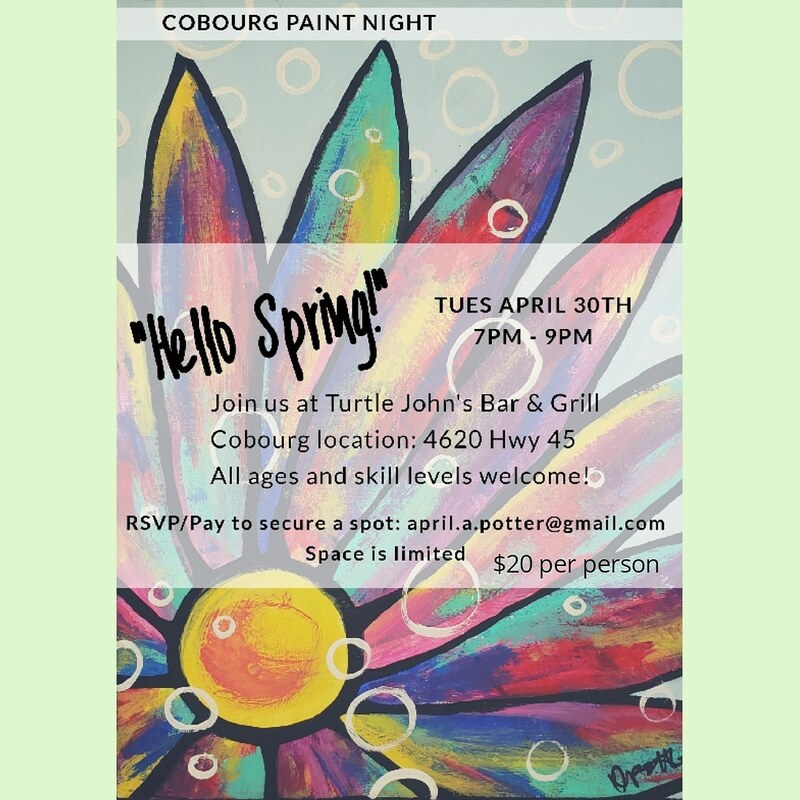 Join Us in Cobourg to Paint this Colourful Spring Flower! To register and pre-pay to secure a space at the table on March 30th at 7pm, please email april.a.potter@gmail.com. Please inquire about availability before transferring funds. $20 per person, all ages are welcome (with adult supervision), all skill levels are welcome and all materials are included. Questions? Looking for a different date or to book a private event? Send me an email and I’ll get back to you asap. Thanks! 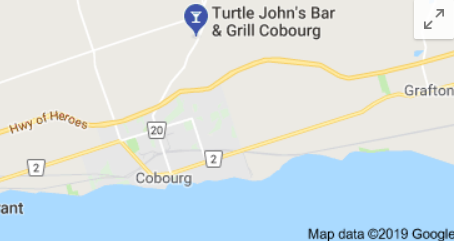 Turtle John’s Bar & Grill – parking is limited so carpool with friends if you can!